Many times, people have asked the question "How do I copy music from iTunes to an external drive? Is there any means to do the transfer seamlessly?" Another common question is - "I will love to have some songs on my iTunes on my USB stick. Is it possible?" The answer to all these questions are not farfetched; copy iTunes Playlist to USB drive is possible. Most iTunes users have a vast music library that contains their favorite collection. At any point in time, it is possible to export or transfer playlists or songs from your collection into your portable USB drive. It is easy and will not disturb your existing music library. Follow this piece to the end to find out how. Step 1. Insert your USB flash drive into the USB port of your PC. Step 2. Open it, so it looks like a desktop folder. Step 3. 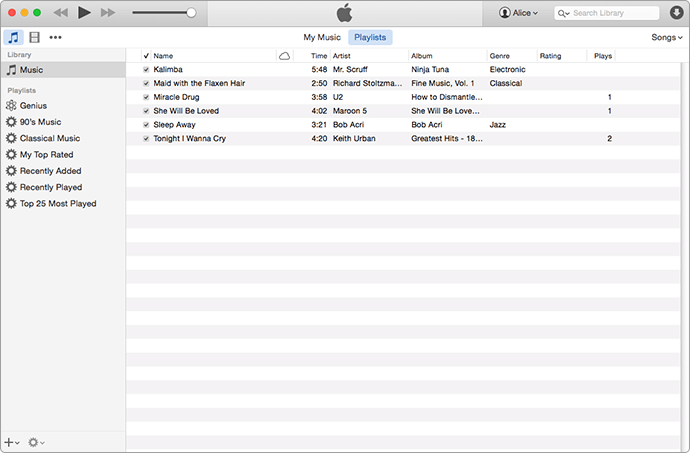 Open your iTunes library as well, and locate the songs you want to transfer. -For a bunch of selected songs that are far apart: Press and hold the CTRL key, then click each song. Step 4. Once they are highlighted, simply drag them to the folder opened on your desktop in the first step. If your iTunes app runs in full-screen, it is advisable you make it smaller before starting the process so that you can easily do the dragging. 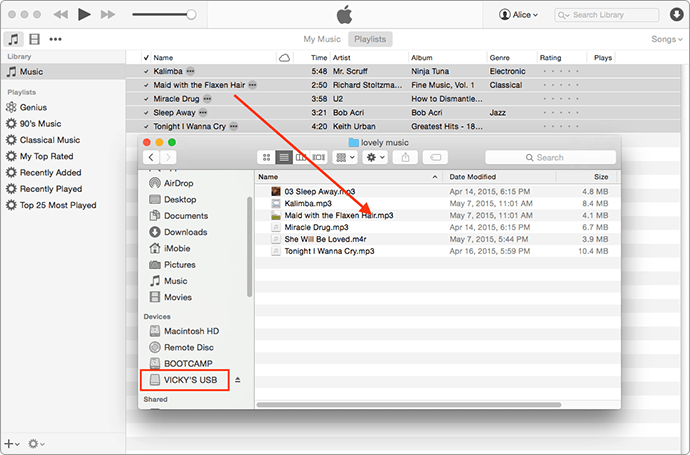 Note that this process only copy iTunes playlist to USB without modifying your iTunes library. This is another method of copying songs to your USB drive from your iTunes. 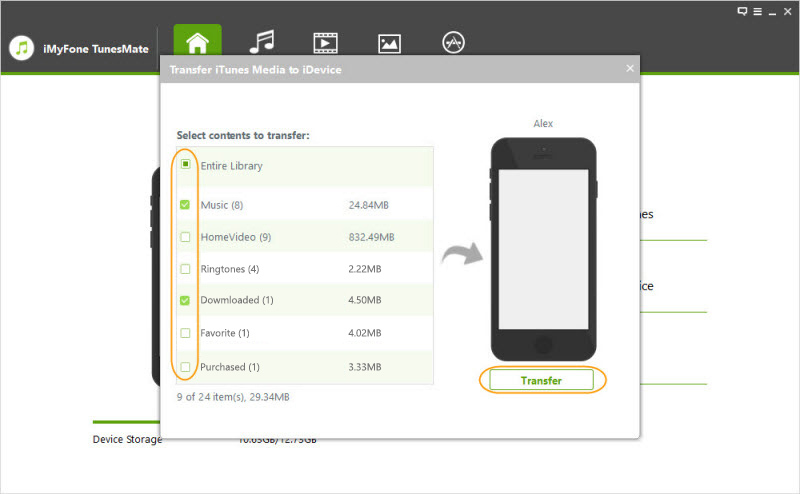 With the aid of iMyFone TunesMate software – an app designed to transfer unlimited data from iTunes to iDevice, you can transfer photos, music, video, and more on your iPhone and iPad. Likewise, you can seamlessly manage your data by carrying out such actions as exporting, adding, deleting, etc. It is designed to be cross-compatible with many iOS versions, including iOS 11. iMyFone TunesMate guarantees you 100% safety and security, with your data and personal information. Offers a free dual-way transfer between the iOS device and iTunes/PC. No need for a password to transfer your iTunes library to iPhone. You can transfer both free and paid files. With a smooth interface and straightforward approach, iMyFone TunesMate is designed for easy use by everyone - you do not have to be a tech nerd or a guru to figure out its use. Step 1. Open your PC and run the software after you downloading and installing it. Step 2. Then connect your iPhone, or iPad to computer. Step 3. 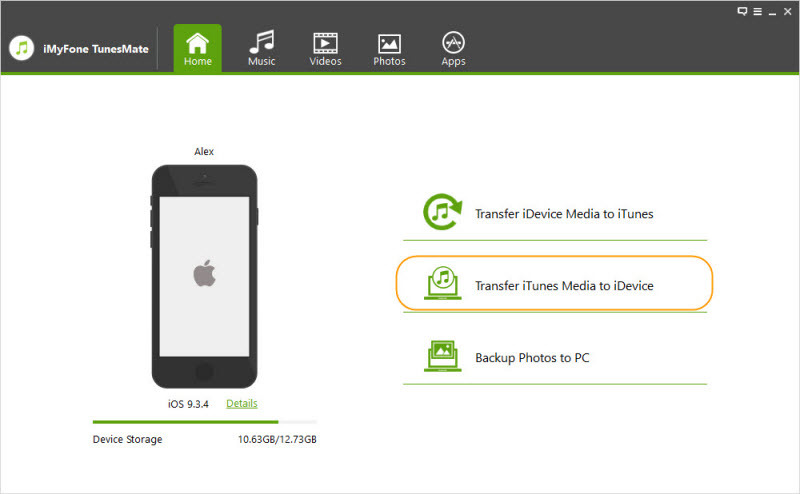 Begin by "Transfer iTunes Media and iDevice”. Step 4. Here you can check your playlist only to transfer them to your iOS device. Step 5. 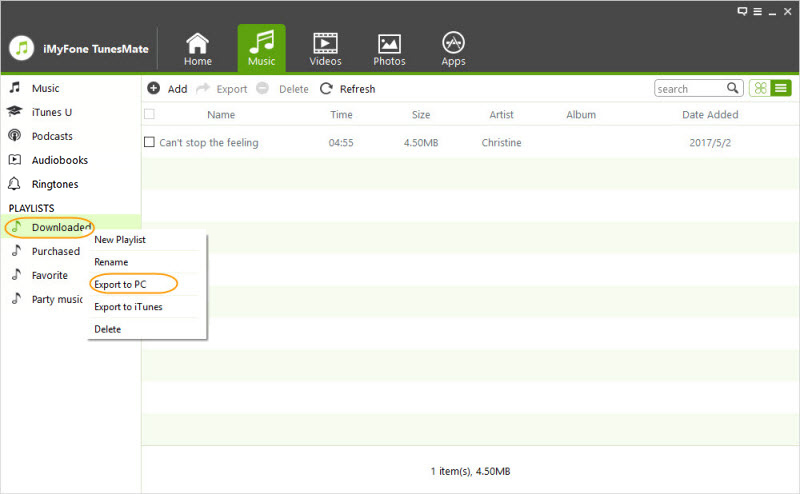 Then, you can export your playlists from your iPhone to PC. To do this, you can go to “Music”, then right click on the playlist, then choose “Export to PC". Step 6. At last, you just need to copy your playlist from the PC to an external USB drive. That is all, and you have successfully moved your favorite songs into a portable USB drive. 2. iTunes might crash or run very slowly when too many songs are being transferred, but the process is much faster and smooth when iMyFone TunesMate is used. 3. It can be difficult to locate the songs you want to copy sometimes on iTunes, but iMyFone TunesMate has a scanning function that brings out all the songs on your device. 4. iMyFone TunesMate supports transferring, in addition to music, other iOS contents from iTunes to USB or flash drive like photos, videos, TV shows, etc. Whereas this is impossible with iTunes. Now you see why iMyFone TunesMate stands out as a better option for transferring data from iTunes to your external USB drive.